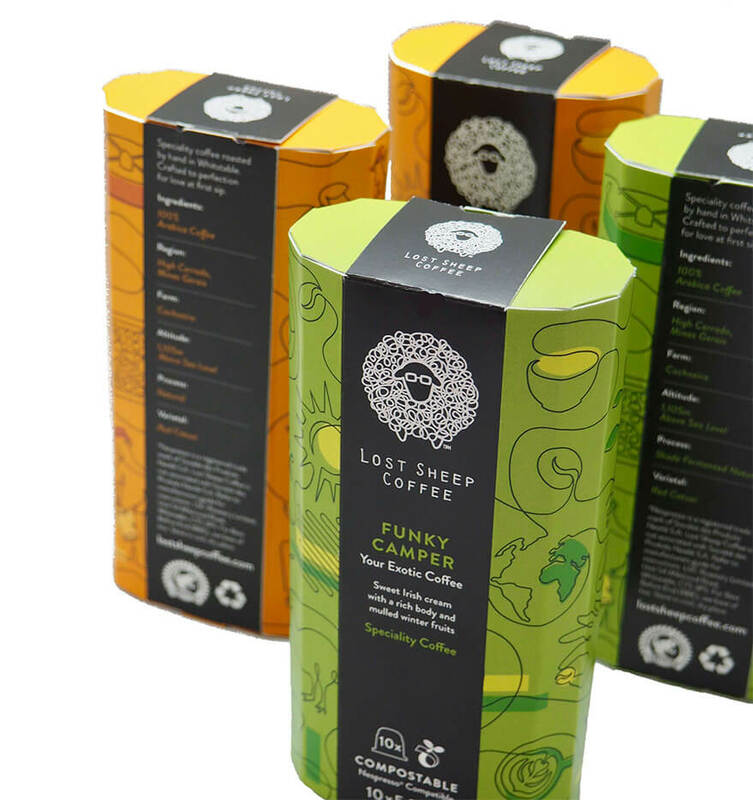 Packaging News are reporting today that the Lost Sheep Coffee company have launched the UK’s first entirely compostable air-tight, Nespress-compatible coffee capsules. This is great news for coffee lovers who favour pod and capsule machines, as the big drawback of the machines is the increase in waste, particularly if you go through a few coffees each day. The luxury single origin direct trade grade 1 speciality coffee in plant-based capsules are certified biodegradable, compostable. Using the latest advancements in composability technology, the new capsules will be made predominantly from wood bark – or Lignin – a waste product of the paper industry. Other renewable raw materials used in the making include natural occurring plant-based proteins, starches and clucose made up the biopolymer structure of the capsule. This is great news for the industry as it has been notoriously difficult for coffee capsules to be sealed without using glue – current alternatives would dramatically lower the shelf life of the coffee capsules, which meant the coffee would go stale. With this new approach, capsules are likely to have a shelf life of up to 12 months. Importantly, the capsules themselves rot down to virtually nothing within a matter of weeks when disposed of, and the packaging is 100% recyclable. The coffee industry has such a significant impact on the environment around the world and has been at the forefront of sustainable industry, but it’s great to see that environmentally friendly innovations are still being made.